The Canadian Public Health Association (CPHA) was too generous last Friday in lauding Ottawa’s announcement that day that Canada will stop objecting to the listing of asbestos as a dangerous material under the U.N.’s Rotterdam Convention on exports of hazardous materials. “Canada has a moral obligation, backed by well-grounded evidence, to close down this [industry] and stop exporting a potentially hazardous material to countries that are ill-equipped to protect the health of workers who handle asbestos fibres,” said Erica Di Ruggiero, chair of the CPHA. “The Government of Canada has made a good public health decision,” she said. The feds’ hands were forced by Quebec premier-elect Pauline Marois, who in the closing days of the recent Quebec general election, vowed to cancel a $58-million loan guarantee offered by the Charest government to revive Canada’s sole asbestos mine, in the Eastern Townships community of Asbestos. Marois pledges to instead redirect those funds to the economic diversification of Asbestos and nearby Thetford Mines, once the world’s biggest asbestos-producing region. 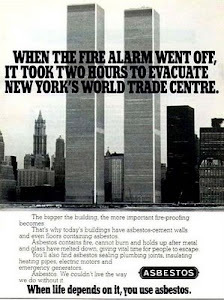 And to no longer prop up a fading industry complicit in the estimated 107,000 deaths each year from asbestos exposure, according to the World Health Organization (WHO). Almost all of the victims are in developing world countries. Stephen Harper, who as recently as the 2011 federal election, reserved one of his few Quebec campaign stops for an Asbestos appearance in which he bellowed that he would not abide dictates from abroad on asbestos exports, will now, he says, invest as much as $50 million in Ottawa’s own economic diversification of the region. Harper is following Marois’ lead, in an effort that should have begun three decades ago when the global consensus emerged that there simply is no “safe” way of extracting or using asbestos. 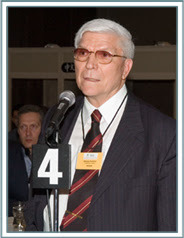 Canada’s hypocrisy on asbestos has long been malodorous. Like almost all advanced countries, Canada has banned most domestic uses of asbestos, whose fire-retardant properties are greatly outweighed by its carcinogenic ones. Harper has been spending millions of dollars to remove the last traces of asbestos in the Parliament Buildings and his official residence at 24 Sussex Drive. That’s a lamented and inevitable extension of the multibillion-dollar effort across North America and Europe over past decades to remove asbestos from tens of thousands of schools, homes and workplaces. Barack Obama’s start in public life was organizing public-housing residents in Chicago’s gritty South Side to successfully lobby City Hall to remove asbestos from their homes. 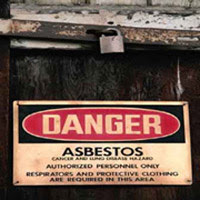 As to the Rotterdam Convention – to date, the entirety of Ottawa’s “good public health decision” on this issue – the veto power of any other asbestos producer, including China, Russia, Zimbabwe and Kazakhstan, can be relied upon to keep asbestos off the Rotterdam list absent Canada’s past objections. Besides, the Convention requires only that asbestos exports be labelled with hazardous-materials warnings and safe-handling instructions. That practice has already been adopted. 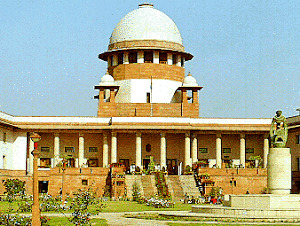 But studies of Canadian asbestos use abroad, notably in major buyer India, show that construction workers handling asbestos are seldom provided gloves and other protective gear. And that workers with Grade 2-level education, paid $6 a day, cannot read the instructions on the sacks of asbestos that routinely break open, releasing clouds of asbestosis-causing disease - though often they do recognize the red maple leaf on the sacks as a symbol of Canada. “Inclusion of chrysotile [the Canadian industry’s new euphemism for the “white” asbestos extracted here] in the Rotterdam Convention would in no way signal the end of the chrysotile business in Canada,” Guy Versailles, a spokesman for the Jeffrey Mine that was to have received the $58-million loan guarantee, said Friday. “It does not say, ‘prohibit imports and exports,’” Versailles told Maclean’s. Not so. The ethically right thing to do is ban the extraction of Canadian asbestos, for which alternatives have long been available. 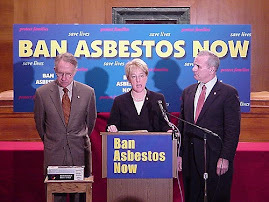 And to finance asbestos-related health programs in developing-world markets where people have been forced to work with a substance whose dangers they were kept in the dark about. The right and proper thing to do extends to supplementing the household income of victims of Canadian asbestos who have lost their breadwinner through lengthy, dangerous contact with a carcinogen we continued to export in full knowledge it likely would be used without sufficient heed to safety. Strahl, who quietly campaigned in caucus against his own government’s previous success in thwarting the Rotterdam Convention, is right in identifying Canada’s moral obligation. But we remain far from meeting it.